It is an effective way to spread your ideas by sharing your presentations to different social media networks. 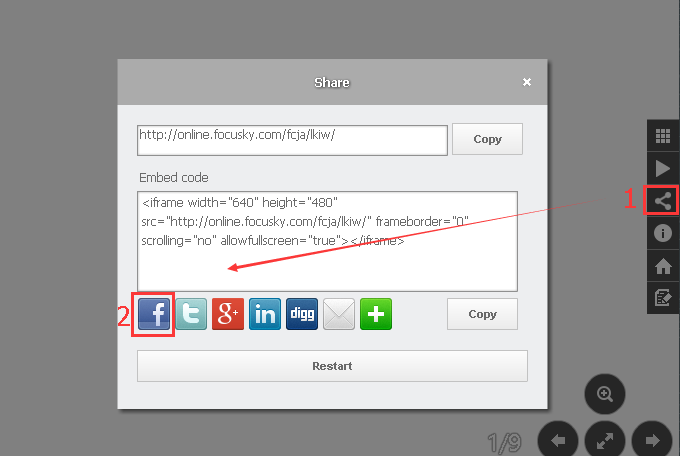 Focusky enables you to share your presentation to Facebook, twitter, LinkedIn and so on. 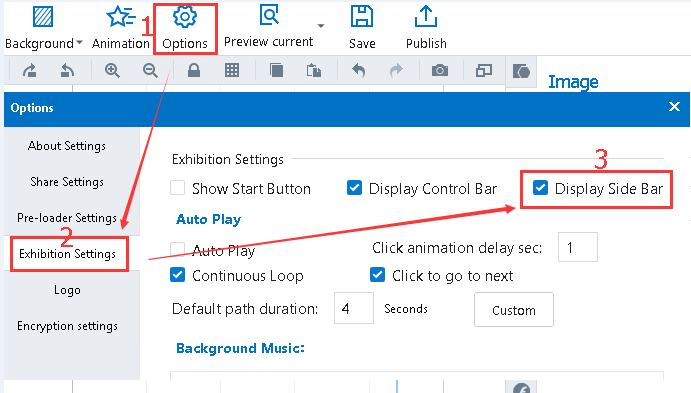 1"Options"→"Exhibition Settings"→"Display Side Bar" → "Share Settings" → "Show share"
You need to make sure that the "Sidebar" and "Share" buttons turn up in the presenting interface. 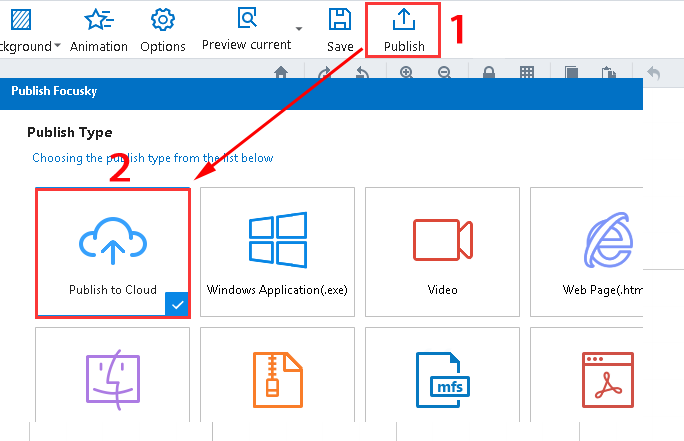 Step1: Click "Options –Exhibition Settings" buttons to check the option of "Display Side Bar"
Step2: Click "Share Settings" button to check the option of "Show Share"
Click "Publish" →"Publish to Cloud" buttons to publish your presentation to cloud and then you can get your presentation URL link. 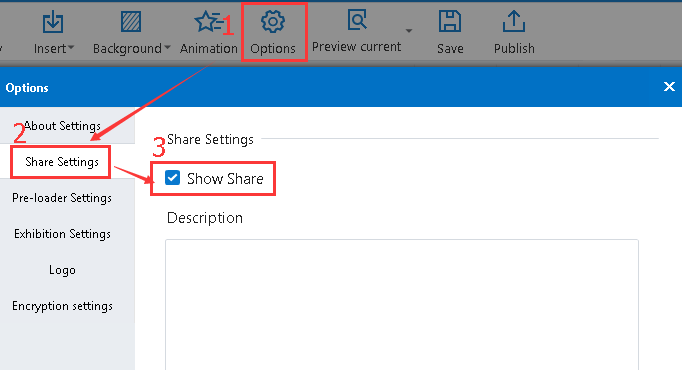 When clicking "Share" button on the sidebar in the presenting interface, you can switch to the share interface. 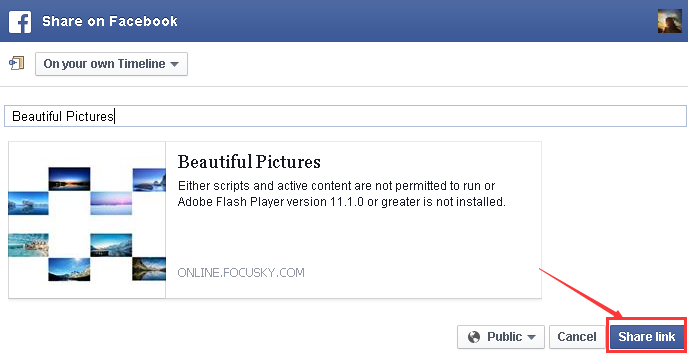 Then you need to click "Facebook" button to go to the Facebook interface. 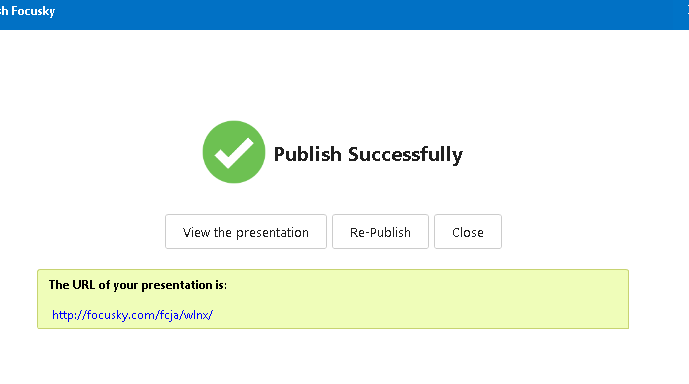 After editing the description of your presentation, you can click the "Share link" button to share it to Facebook.